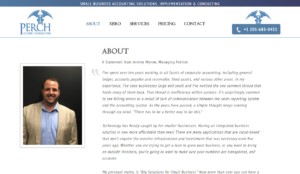 Big Solutions for Small Business is their motto, this means the most robust, and user-friendly business systems possible, and easy to understand reporting so customers can focus on growing your business. 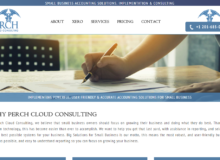 A long time client Jeff Adise, asked the Executive Director of DCGWS, Mr. David Davis Jr., for assistance in creating a website for a small business accounting software, Perch Cloud Consulting. DCGWS Team provided a PSD Mockup in accordance with the client’s needs. By customizing a WordPress Theme, The team was able to help Perch Cloud Consulting’s concepts and ideas turned into reality. 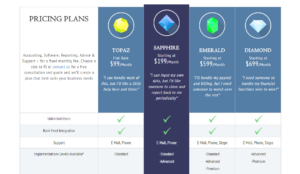 Each page in the site has its Modern UI / UX design keeping the whole site interesting and innovative. DCGWS Internet Solutions successfully launched Perch Cloud Consulting. click here.